It’s that time of summer when fresh, ripe tomatoes are everywhere. 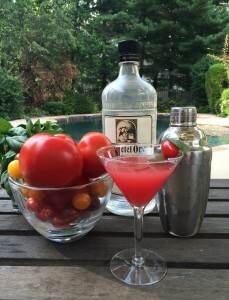 Mix up a little tomato vodka and enjoy sipping the fresh flavors of summer! 1 lb ripe tomatoes – one big beefsteak may be enough! Cut the Tomato into quarters and place into a blender or food processor. Pulse a few times. Add Vodka and blend to a fine puree. Strain the puree into a bowl or pitcher using a fine mesh strainer. Add Dry Vermouth, Red Wine Vinegar and a pinch of Salt. 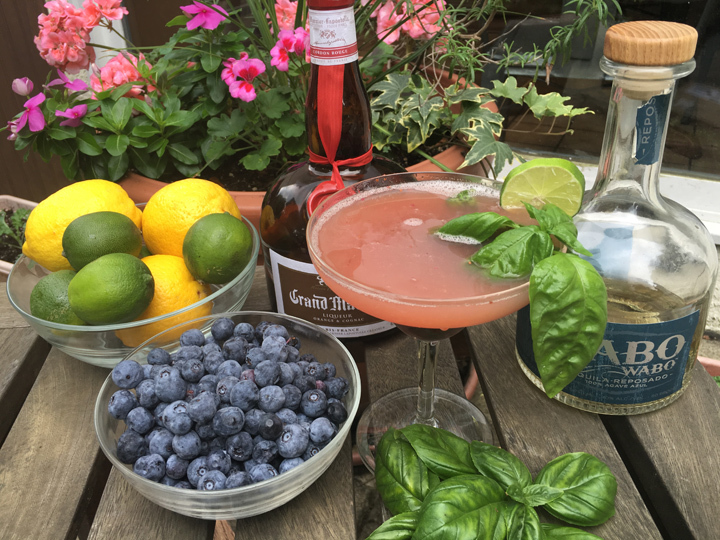 Pour into a shaker with ice – shake and pour into chilled glasses. Garnish with Cherry Tomatoes, Basil and Olives. Enjoy!